If you’d like to see a resume or CV, please take a look here​. When I’ve spoken to groups of people, however, they’re more interested in “war stories.” What have my clients and I accomplished as a team? A large retailer opened the mail one day to find a six-figure penalty notice from the Department of Taxation. The very next day, we went down to the Department and pinpointed the problem: one periodic return with a typo in a critical place. After some back-and-forth on what to do about the issue, the Department was finally persuaded that the return did indeed have a typo, and fixed it. Result: The penalty completely disappeared. Not bad for a day’s work! A provider of specialty financial services had a large subsidiary. The subsidiary was paying the parent an eight-figure management fee and the parent was paying 4% Hawaii general excise tax on that revenue. We filed a claim for a seven-figure refund. Although the competition (the parent’s national audit firm) said it would never happen, we won a complete victory at the Board of Review. We negotiated a settlement when the Department of Taxation threatened a court fight. Result: The client got a sizeable refund and audit protection in subsequent years, giving the client time to restructure. The State later enacted legislation preventing use of the same arguments in the future. A maker of movies and video games needed a key state tax ruling in connection with a major movie production. The competition had been working on the project for several months but had not even submitted the ruling request. In frustration, the company hired us to help. Three months later, the favorable letter ruling was in hand. Result: Seven-figure amount saved, competition fired from audit work. A regional bank consolidated with two subsidiaries in a particular year but the Department of Labor refused to recognize the consolidation for State Unemployment Insurance tax purposes. We negotiated a deal where the merger was recognized in the current year, vaulting the bank into a rating classification one notch better than its current one. Result: Unemployment tax refund in the low six figures. The doctors running a medical clinic were being crushed with the weight of 4% tax on all medical service fee income, but didn’t want to become a 501(c)(3) charity because they did not want to give up governance, which is a requirement under 501(c)(3). We devised a way to structure the clinic to qualify as a tax-exempt entity for Hawaii general excise tax purposes without becoming a federal tax-exempt 501(c)(3) charity. We requested and received a ruling on the state tax exemption. Result: Savings in the mid-seven figures. Offshore trusts owned by foreign individuals were limited partners in a large multinational partnership before its sale to a publicly held company. When the sale took place, the Department of Taxation contended that the trusts had nexus in Hawaii through the limited partnership, and thus were taxable on the substantial gain on the sale. We represented the trusts and negotiated a settlement because of doubt as to liability and collectibility. Result: Eight-figure assessment was settled for an amount less than $1 million. A motor vehicle manufacturer had taken the position for years that it had no nexus with the State and was not taxable for General Excise Tax purposes because title to vehicles it sold passed outside of Hawaii. Unfortunately, there was a single in-state employee throughout the audit period, which spanned 15 years. We represented the manufacturer and demonstrated that a number of its dealerships, who also thought that the manufacturer was out of state, paid Use Tax on the same vehicles. Result: The initial assessment, a low eight figure number, was settled for about 40 cents on the dollar. A check printer’s customers are financial institutions. The company was being assessed a medium six figure amount of Use Tax. We successfully argued that the company could qualify for the wholesale rate of tax on its sales to the banks, which the Department had originally denied because banks are generally subject to a different tax type; we also raised constitutional questions about the tax base, because the taxpayer was being assessed on an amount far in excess of the cost of its manufacturing inputs. Result: Not only was the tax bill cancelled; it was determined that the taxpayer had overpaid a low six figure amount. A telecommunications carrier was receiving a substantial subsidy from, among other sources, the Universal Service Fund. 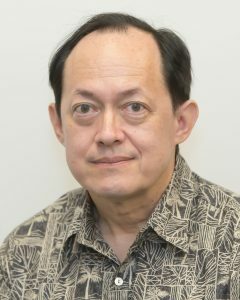 The carrier had reported the entire subsidy as taxable in Honolulu and subject to the 0.5% Honolulu county surcharge because its principal office was in Honolulu. We filed a claim for a six-figure refund, arguing that the subsidy amount should be distributed among the counties, all of which except for Honolulu had not adopted the surcharge. Result: Refunds were granted and paid. A land developer working in several states sold one large Hawaii development for a nine-figure gain toward the end of the year. The client included the gain in its Hawaii sales factor for income tax purposes, which skewed the liability so much that the client was penalized a six-figure number for improperly estimating its income tax. We pointed out a regulation that allowed the client to exclude the gain and filed a claim for a low seven-figure refund. The auditor reviewing the claim countered that the property gain wasn’t even business income and should be taxed 100% in Hawaii, and fired back an eight-figure assessment. Suit was filed. Result: Many months later, the case was settled for a low seven-figure refund. A trucker here in Hawaii had been given some questionable advice and had been handed a whopping assessment as a result. We appealed the assessment but then found two more tax years that had been assessed previously and it was now too late to appeal them. (The other practitioner had said, “We need to wait until the other years are assessed before we can do anything.”) Realizing that the client would go broke if it had to bear the full assessment, we worked out a settlement with the appeals conferee to pay roughly half of the amount assessed overall, which took care of the earlier assessed years as well. Remember that these are just war stories. Tax liability depends on your individual facts, and mileage does vary. But might it be worth your while to have a look at your situation? Please give me a call at 351-2109 to arrange a diagnostic review.